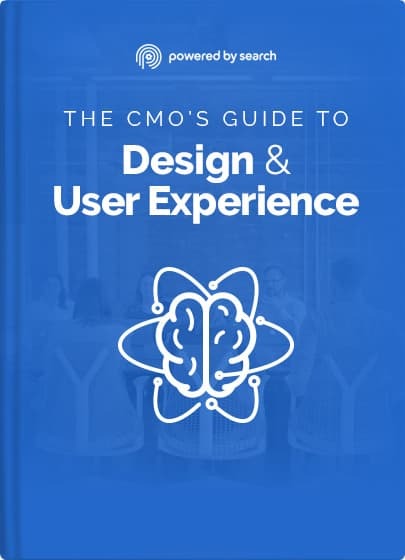 Download "The CMO's Guide To Design and User Experience"
Get the Conversion Rates other marketers can't. What conversion challenges do you want to solve today? 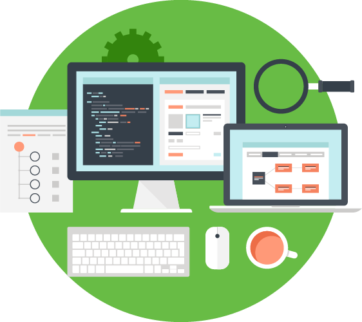 We Have Been Helping Businesses Successfully Improve Their UX for over 10 Years! Read some of our UX and CRO case studies below and learn how our Conversion Intent Engine framework can help your business improve it's conversions from all marketing channels. Take the guesswork out of your marketing in just one phone call. We’ll pin-point UX/CRO problems and let you know the top 3 UX strategies you need to achieve your marketing goals. Do you ever wish there was a complete UX/CRO Playbook for Enterprise businesses? Look no further! We have assembled 10+ years experience into "The CMO's Guide To Design and User Experience"
Why are people coming to our site and leaving without buying? 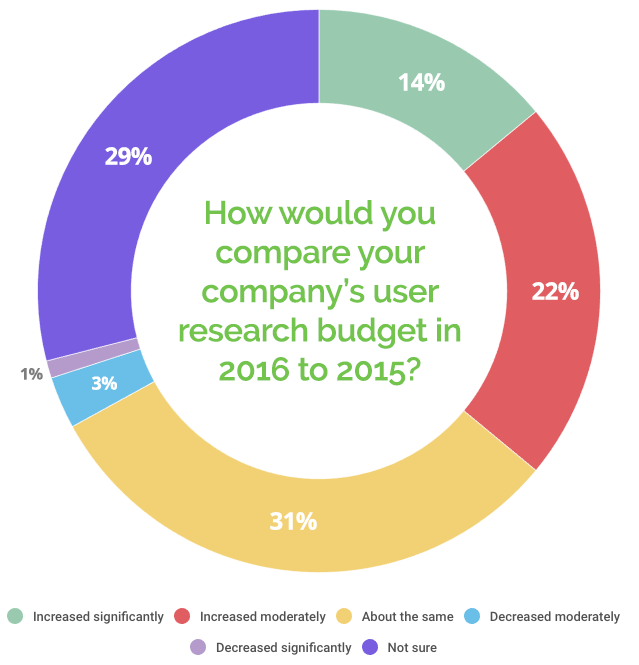 How much should we budget for design and UX? Can changing 3 words on a landing page unlock millions of dollars? Is everything that we think we know about the customer all wrong? 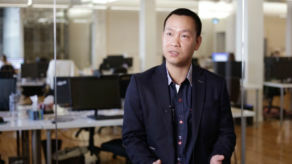 Are we chasing the wrong metrics or KPIs? Did we ruin our own website? Should I Hire a Design/ UX Agency or Handle It In-House? Does a good User Experience (UX) really make a difference? Forrester Research reported that a 10% improvement in a UX score at the enterprise level can translate into more than $1 billion. Having a website with a good user experience is an unfair advantage. You have psychic powers and know what your client wants and exactly how to give it to them. Your “Buy” button magically shows up exactly where they need it to be, so they click it without a second thought. Having a website with a bad UX is like not being able to take “Yes” for an answer. This visitor has already decided they want to buy from you. That hard work should be done. Yet, you’re standing in their way. So they get frustrated and they leave. A bad UX gets abandoned by your customers. A good UX gets copied by your competition. This guide will teach exactly how to craft an intuitive UX, starting from the moment you begin to plan and budget, to the moment a customer arrives at your Thank You page. We’ll use genius insights from UX experts and industry trends to show you how to give your users exactly what they want, without putting any barriers in their way. You will also learn how to spot simple UX mistakes that cost businesses millions of dollars in missed chances. This guide is for Chief Marketing Officers or other senior marketers who want to convert the maximum number of leads or sales. Maybe you’re frustrated by lots of traffic, but mysteriously low conversions. Or maybe you’re in a hyper-competitive market, and you’re looking for every single advantage you can get. This guide is also for people who are ready to scrap their entire website because it’s not producing any leads. You’re ready to throw it all out. But before you do, maybe try some simple fixes. Or maybe you’re looking to hire a creative/ UX agency. You don’t want to waste any time or money on the wrong firm, so you want to know the red flags to look for during the selection process. We can help you with that too. This guide is not for anybody who is looking for advice on search engine optimization. We have a guide for that, and we would love you to read it. But you won’t find any of that information here.This guide is also not for companies who have little or no traffic on their website.You can download our SEO playbook by clicking here. Visitors are not doing what you want them to do. That is essentially the same problem everyone has. People come to your website, but they don’t do what you want them to do—even though you’ve paid a lot of money to get them there. The median conversion rate across all industries is 2.38% .That means that 97% of all websites are losing 97% of their money to a bad UX. It’s maddening. Maybe users are arriving on your website, but leaving to go somewhere else. Or maybe they make it all the way to your online store, but suddenly drop off when they get to the payment screen. Finding out what went wrong during the above problems is what good UX is all about. It’s about doing the work to understand and balance your business goals versus your user’s goals. We need to understand the user’s journey and build for that. And find the happy place. The more people you have approving your website’s design, the more chances you have to ruin it. They say that a camel is a horse designed by committee. Don’t build a camel. Enterprise level businesses throw hundreds of thousands of dollars at a website, so the stakeholders have a big say. You have to please them. All the important people offer feedback in every meeting and every email string, adding their view of what they think this site should be. This will murder your UX. These companies want to accomplish everything and be everything to everyone. You can’t. The focus is blurred and lost. And the user suffers because of it. Unclear navigation remains one of the biggest issues that causes a bad experience for your user. Breakdowns or gaps in information architecture and hierarchy will cause your customers to search too long for what they need to do next. And if they search too long, their next step will be to leave. Again, you hurt your UX by trying to be everything to everyone. A personalized experience is huge. Don’t offer a one-size-fits-all approach when you know for a fact you have different markets with different needs. A lot of companies don’t believe in UX. It’s too theoretical to them. They want hard data. So it can be hard to budget based on hypothesis. It’s the struggle of the industry. If you don’t see the ROI in your UX, look no further than the cost of every lost customer. Ignoring UX sets you up to fail. But investing in it sends your conversion rate skyward, and gives you new insights into how customers want to use your website. Understanding your customer’s real needs also helps you with ALL messaging and ALL communications, both offline and online. It helps with: creative, billboards, website conversions, net promoter scores, content, SEO, and PPC. Let’s look at this another way. Catching and fixing an error during Development will cost you 4 times more to fix it, versus catching it in the preliminary UX testing phase. Yes, we know. We just told you that approval-by-committee ruins a UX. But that’s not what we’re talking about here. We’re talking about the value in stakeholder interviews at the very start of a project. There’s tremendous value in having everyone in the room at the same time. This is your chance to prioritize business goals, and catch any discrepancies now before you move forward. You can create a priority matrix and sort out the website’s must-haves, nice-to-haves, and don’t-really-needs. If you have high traffic and low conversions, you’re losing a lot of people along the journey. If you’re not invested in your UX, you will have no idea why you’re losing people. You will just watch your sales funnel leak uncontrollably. If your form doesn’t accept Canadian postal codes, tell users that when they try to enter one. Don’t just give them a nebulous error message that will cause them to second-guess everything on the form. Don’t make them give you all their information AGAIN. Focus on checking out. That’s it. Now is not the time to give them any new information or options that won’t help them buy. You might be losing people if the words (or microcopy) on your button seem too committal. If someone comes to just download something or buy something, don’t put the word “Register” or “Sign Up.” They don’t want to sign up. They just want to buy the thing, and move on with their day. Address any fears or hesitations that would keep someone from buying from you. Does your company only collect their email address to create an account? Tell them that when you ask for it. Do you let people register without using a credit card? Tell them that too. You can handle your industry’s most common customer objections with one sentence of microcopy. Five words can save you millions of dollars in lost customers. 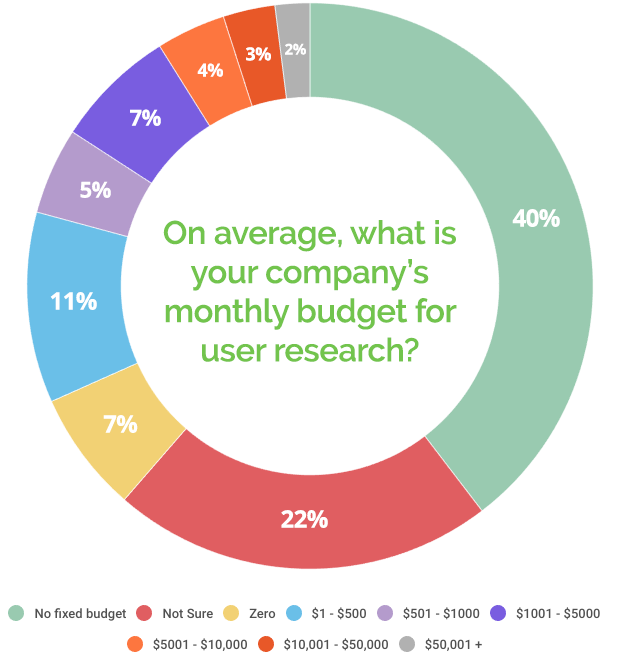 How Much Is Everyone Else Budgeting for UX? 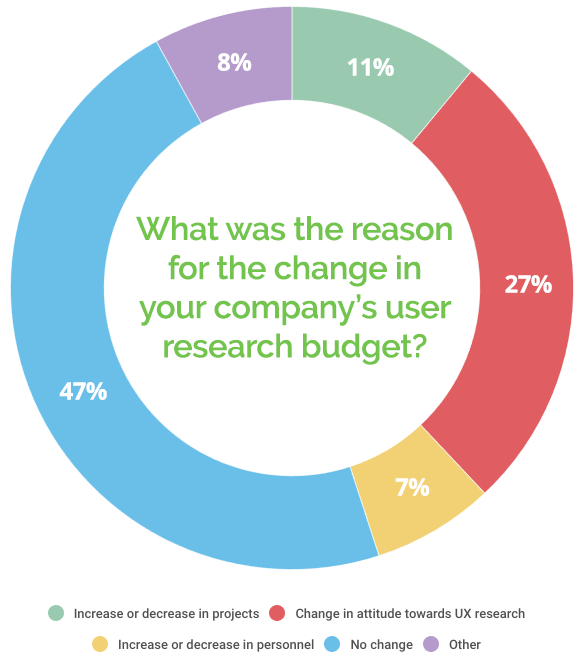 A survey of leaders in the digital ad space revealed some interesting insights into how enterprise level companies are spending their UX budgets. What Should I Budget for UX? Ask yourself: What is a lost customer worth to you? Start by knowing what a customer is worth to you. A bad UX will cost you customers. So take your conversion rate, subtract one minus your conversion rate, and multiply it by the conversion rate you should have. 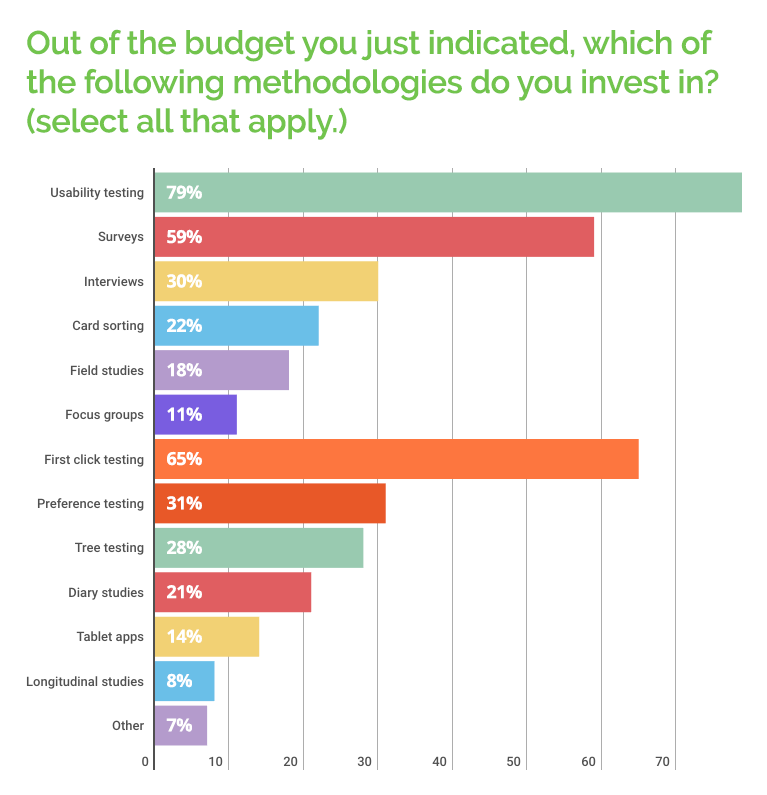 That is precisely what you should be budgeting for UX. In today’s marketplace, for every $92.00 that companies spend on acquisition, only $1.00 goes to nurturing. That’s not nearly enough. 70% of your budget should be spent leading the horse to your water (which is PPC or traffic), and at least 30% should be spent making sure the customer’s experience is well aligned. In the old days, you used to spend 10% on the ad and 90% on promoting it. But because the customer experience now is multi-touch, you need to bulk that up to 70% and 30%. Some people will say 50-50, but that’s not the world we live in. Still not sure what to budget? Try using our free Digital Marketing ROI calculator. We’re seeing enterprise companies give customers a warmer and more interactive greeting when they arrive. This includes welcome screens that overlay when someone arrives on your site for the first time, or signs into their account. Other companies are using guided tours of the site and all its functions to provide a pleasant experience for visitors. We’re seeing a real shift towards keeping users entertained while something loads. A few cool companies offer games while you wait for something to load, or funny little jokes that scroll by. Meanwhile, MailChimp gives you a high five when your campaign is sent into queue. These things go the extra mile in making your website feel more human. Users respond to a human experience and some personality. This is a bot that talks to you within the content you’re reading, like a friend sending you IMs. The jury is still out on the fate of this trend. Some see it as an interruption while they’re trying to read an article (but you can opt out of it right away). Others are seeing it as a welcome interaction, as the bot adds little quips and offerings of related materials. 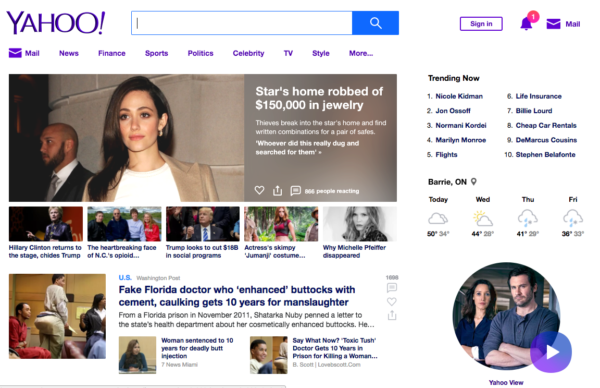 If you don’t think a minimalistic design is good for attracting and keeping users, take a look at the search engine that gets 80% of the world’s traffic and the one that gets 5%. You need to maintain the SCENT from the intent of the user, into the actual paid search experience, into the ad, to the landing page, and to the post landing page experience. A breakdown in any of these phases will hurt your user’s journey and drill a giant hole in your sales funnel. What you need to remember is the SCENT needs to match the INTENT. You can learn more about how to match them up by watching this video. 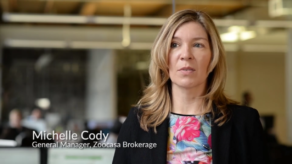 What are the most important KPIs that you should be looking at? What metrics should you be chasing? To simplify things, we’ve defined what we feel are enterprise UX’s most valuable metrics, which will give you a real representation of how your webpage is doing. At the same time, we’ve listed the most overrated metrics, which may mislead you or even tell you nothing at all. What are the must-have skills that the person in charge of your website’s UX needs to possess? According to Workopolis, here are some of today’s most in-demand skills for UX experts. This is a question that countless companies wrestle with. And an argument can certainly be made for either hiring a design/UX agency, or hiring your own designer. What are the red flags you need to look out for when shortlisting design/ UX agencies? Here’s what to look for in your next partnership, broken down into three subcategories: Experience, Methodology, and Culture. Look for the agency to tell you success stories with similar enterprise-sized clients. Their website should be full of lots of logos from other enterprise clients. You should also check to see if your could-be partners are thought of as leaders in their industry, or quoted in respected marketing blogs and publications? Find an agency with specialties and specialists. If they don’t have a speciality, they’re trying to be really good at everything, but they’re masters of nothing. Don’t trust a designer who claims to also be a great developer, and a great strategist, and a great researcher. Those are separate fields and specialities for a reason. Don’t hire an agency that’s fixated on billable hours. Work with one that’s focused on results. You want an incentive based system to ensure you’re not spending money for the sake of spending money. The agency incentives should be aligned with client incentives. They should charge a flat fee that is value based, and also based on tiered outcomes for you. THAT is truly putting the client’s needs first. Also, make sure the agency has an eye to the future and working with things like the Apple Watch or Virtual Reality (VR) technology. First and foremost, make sure the agency is empathic and human. They can’t be afraid to talk to people, because people are at the very core of UX. They also need to be invested in educating you, the enterprise clients, and your staff. Too often we see agencies delivering minimally effective results because the client isn’t knowledgeable enough to know what to ask for. When they speak, make sure they’re talking about your KPIs, not their own. There needs to be accountability at the team level and leadership level. If something goes wrong, or you have a question, will the agency be there to answer it? Articulate every single point of friction on the customer’s journey to conversion. It’s not just about knowing that people aren’t doing what you want them to do, it’s knowing why. Marketers need to match their wording to the customer’s intent, which rarely happens. The minute you get too many stakeholders involved, you get a very watered-down product. Everybody wants their logo on the page, or their business need met. And OMIGOD, what will happen if we don’t add this association badge? But you can’t try to please everyone, or you will actually accomplish nothing. Worrying about bruised egos will kill your UX. As we said earlier, get stakeholders involved in the very early phases of planning to make sure everyone can agree on the same objective. But when it comes to approving the creative and UX components, shortlist the approvers to as few as humanly possible. Also, trust your agency or UX expert to do what’s right for your webpage—even if it makes you slightly uncomfortable. Discomfort is good! Discomfort means you’re disrupting the norm, and the norm is what got you here in the first place. Follow the principles of attention ratio. If there’s too much going on, no one thing is important. Let’s say you have one thing that you want people to do on the page. Let’s say it’s click “Get a Quote.” But you add 15 – 20 other elements (buttons, banners, images, counters) to the page as well. Your “Get a Quote” button has 1/20th of the attention that you want it to have. Vigorously remove things that aren’t important on that page. Ruthlessly! Every page has to have a purpose. One. And if the purpose is not defined, your customers won’t know what to do, so they’ll do nothing. Besides leave. A sign-up page should serve the purpose of signing up. Contact Us pages should help people contact you. Nobody wants to add anything to their cart from the Contact Us page, even though that may be something that ecommerce sites do. Nobody goes to your Contact Us page to follow you on Twitter. When you start taking elements away from the page, ask yourself if the main purpose is still intact. If the reason the page exists in the first place is still intact, you’re going to see an increase in conversions. On an ecommerce site, if you’re a man, you’re probably shopping for men’s clothing. If you’re a woman, you’re probably shopping for women’s clothing. That’s why the most intuitive user path on the Home Page is: “Shop Men’s” or “Shop Women’s.” That’s a clear segmentation. So then the rest of the site (the imagery, the colours, the copy) can be tuned for that specific audience. Figure out what forks in the road and what paths your users can take based on what their intrinsic interests are. Marketers think they know what the customer wants. But the marketer is not the customer. Typically, marketers have a lot of trouble placing themselves in the customer’s shoes. Most of the time they’re unable to, which is why they have poor conversion rates. The best way around this is not to assemble a focus group. Because a focus group is giving you only a small sample size, with a lot of qualitative data, and many extrapolations. And these “insights” are open to too many interpretations. First, there’s the market research company hired to do the focus group. They process and pass the findings onto the Analytics team, who then presents to the brand team. And the brand team presents the findings to a strategy team, who presents to an executive team. You get a game of broken telephone. Instead, focus on the voice of customers’ studies, which are always on, on every page. At minimum, they ask every user if this page was useful to them. And if not, why. That way you get a real feedback loop from the people who have real intent to interact with your pages. Ask them why they do the things they do or why they don’t do other things. Reality: You can unlock millions of dollars in lost revenue by changing two small words in your form. That’s free. Reality: Traffic and leads are not something you achieve, they’re something you maintain. And you have to keep testing and making changes to your site to keep those leads. Reality: You need a good mobile site. 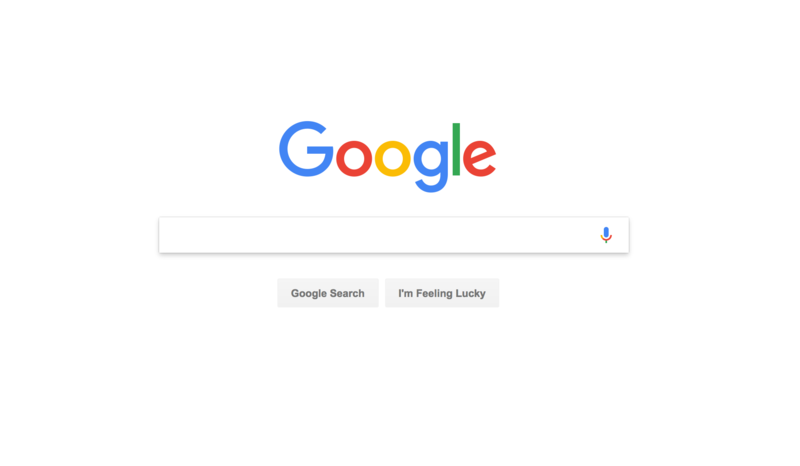 Yes, Google has switched to mobile-first indexing. BUT, in the absence of a mobile site, they will index the desktop site. So it’s better to have a rock-solid desktop site than a rushed mobile site with a terrible UX. Because Google will punish you if your users pogo stick off your site. Just because the mobile site fits their phone, doesn’t mean it will fit their needs. Reality: Enterprise level businesses have more than one target market, so they need a segmentation of messaging for various target groups. Deploying a broad, one-size-fits-all creative and marketing strategy is not enough. It’s getting easier to get into digital marketing, but it’s getting harder to master the space. Successful companies used to ask, “What do we have to do to get there?” Now they’re asking, “What do we have to do to deserve to be there?” Investing in your UX is one of the things you have to do to earn success. If you lose customers, don’t lose the lesson. Treat each lost lead as a teachable moment. Learn why you lost that customer and take that feedback to improve the next customer’s journey. Then take that success and build on it. That’s what a good UX is made of. If you would like to have a deeper discussion about UX and your company’s goals, you can click here to book a free 25-minute consultation with one of our experts.